Are you interested in honing your observation skills to be a part of this important citizen science network? Dedicate 20 minutes per week to tracking phenology (plant changes throughout the seasons) and rainfall on your property or a site you adopt. We are seeking participants for a Spring 2019 OST training including two hours of self-paced online learning followed by an in-person skill-building session to be held at the Clackamas County Extension office annex (200 Warner-Milne Rd, Oregon City OR) on February 19, 2019 from 6-8 pm. The training fee is $40 per household and includes the program-approved rain gauge to set up in your site. 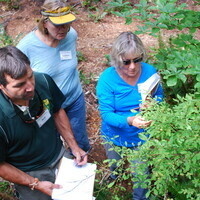 Register online at bit.ly/ORSeasonTrackerTraining or contact Jean Bremer (503-655-8631, jean.bremer@oregonstate.edu).